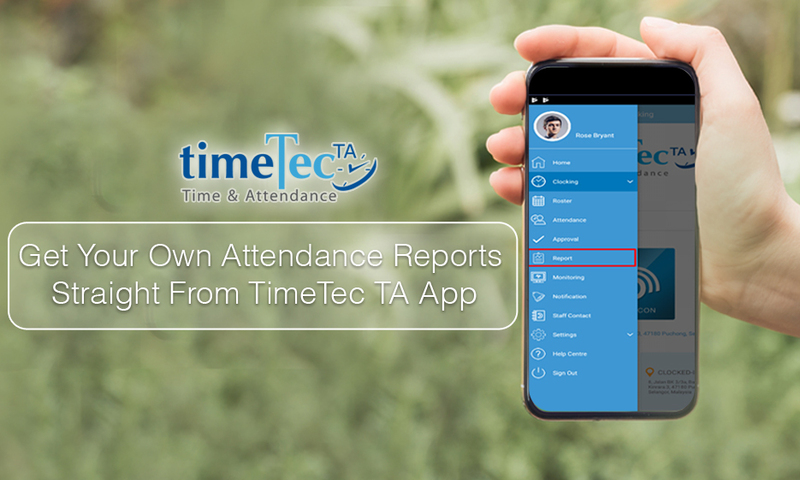 On top of 31 reports offered by TimeTec TA to the admin of the System, each user is also offered three personalized attendance reports which can be generated via TimeTec TA mobile app. The first report is Electronic Time Card that summarizes all the clocking activities of a user, the second is Tardiness Report that presents the details of late and early clocking data, and the third is Mobile Location Tracking that details out the list of GPS clocking for that particular user. These reports can be generated according to custom timeline and it will be presented in a pdf form. These reports are useful for users to countercheck the information recorded by the system and to rectify with admin if any discrepancies are found. 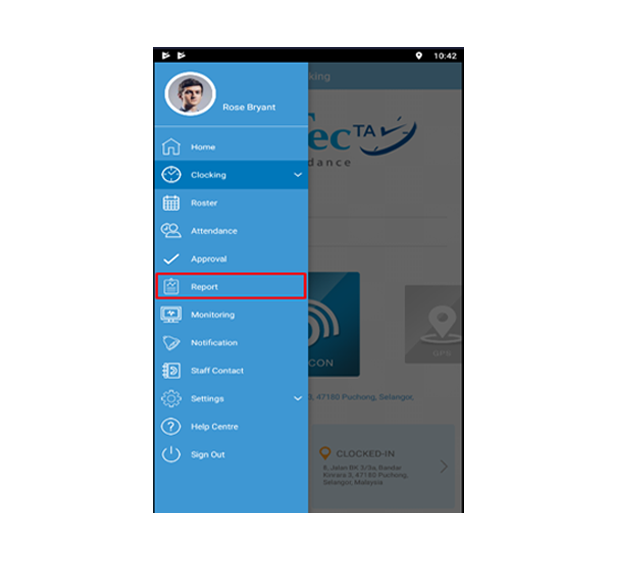 Step 1 – Login to TimeTec TA mobile application. Step 2 – At the main menu, tap on “Report”. 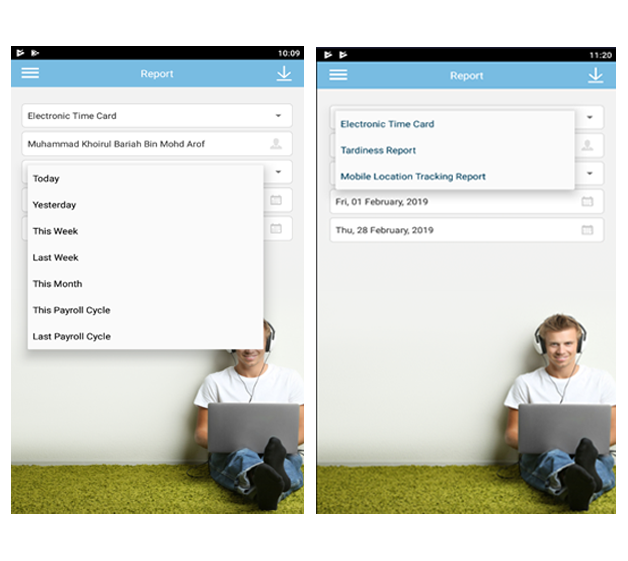 Step 3 – Choose a report type, select the preset time range or you can customize the date using calendar. Tap on the Download button on top of the page to generate the report. Step 4 – When the process is complete, you will see “Click to open report” button, tap on it and view your report. Step 5 – The report will be viewed. a) This is a sample of Electronic Time Card Report. b) This is a sample of Tardiness Report. c) This is a sample of Mobile Location Tracking Report. The PDF file of the report can be shared and printed for your own purposes. Currently may we know are you using Ingress software to manage all the door access devices? If yes, we would like to suggest for you to have a high end server with the specs as per listed below.